It’s easy to think of small butterflies as delicate or fragile, but in fact, the smallest butterflies are some of the toughest! 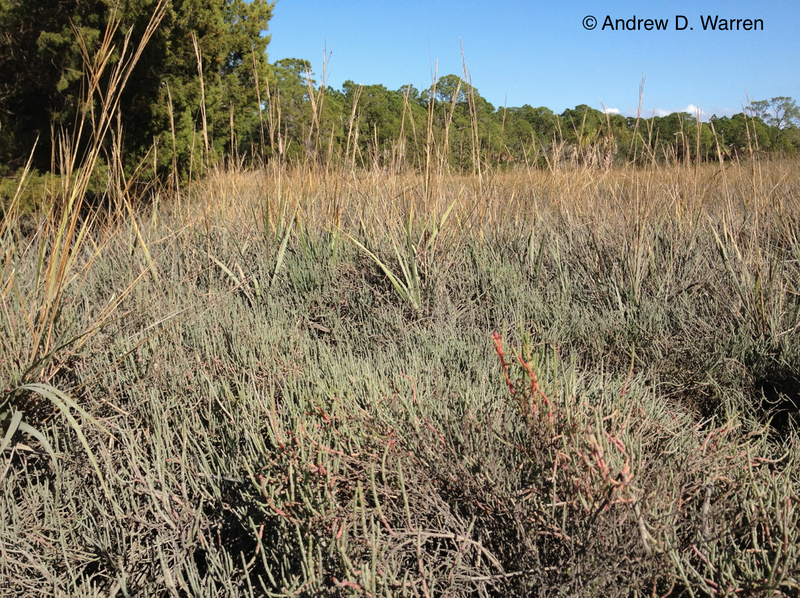 Today, on this early December day in northern Florida, most butterflies are in dry-season mode, that is, hibernating. 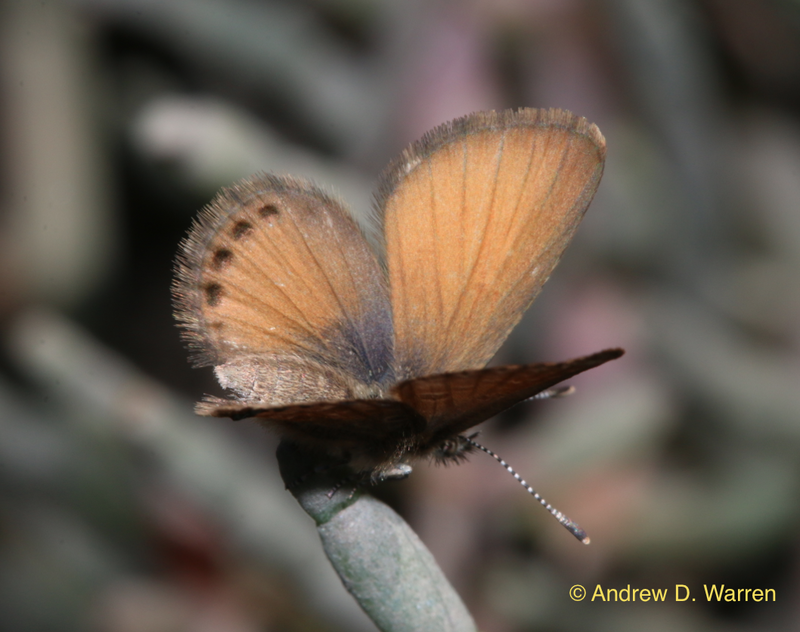 However, a few butterflies here are as abundant as ever. 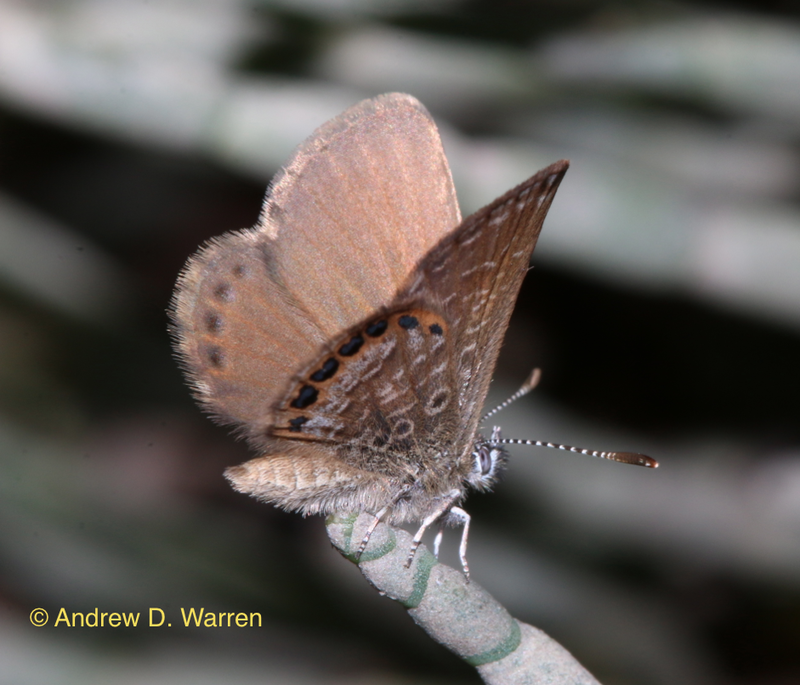 The Eastern Pygmy-Blue (Brephidium pseudofea), one of the smallest North American butterflies, is taking full advantage of our unusually warm December weather, despite a recent freeze on Thanksgiving morning. I spent a couple hours with this tiny but mighty butterfly today, and want to share the experience with you! 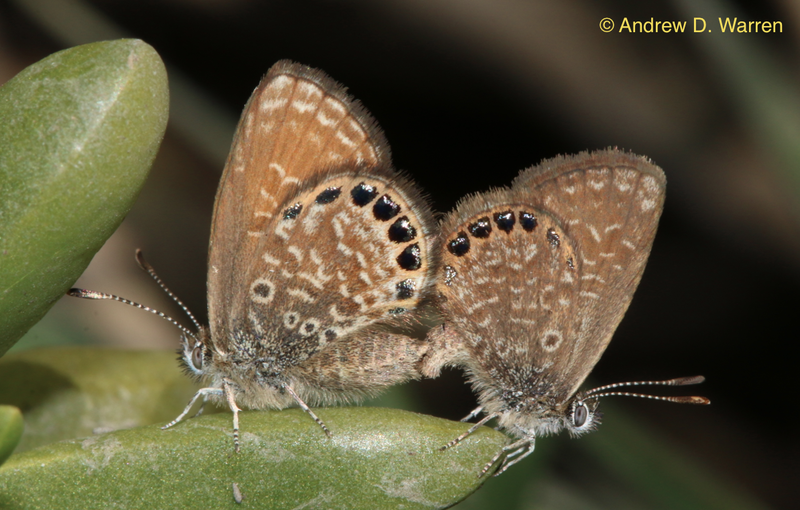 The Eastern Pygmy-Blue lives in coastal salt marshes in the southeastern United States, from eastern Texas to South Carolina. 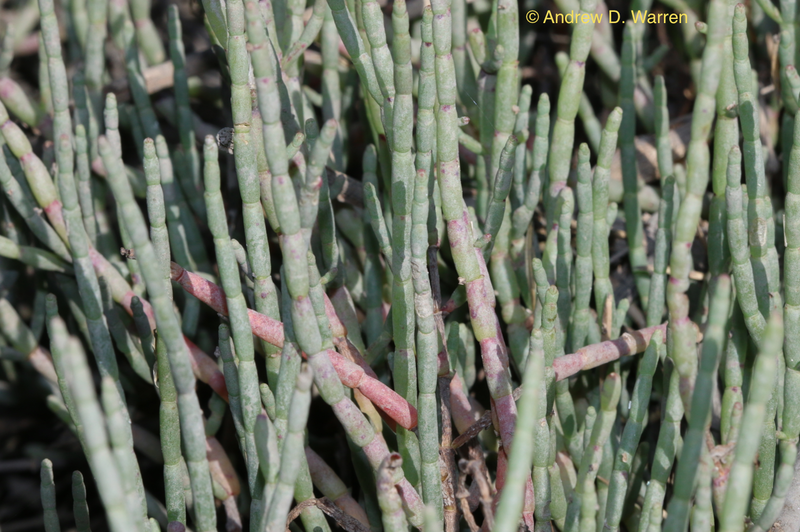 In northwestern Florida, the favored larval foodplants of the Eastern Pygmy-Blue are Saltwort (Batis maritima) and especially, Perennial Glasswort (Sarcocorina perennis). Wherever the latter plant is found, Eastern Pygmy-Blues are usually common. Everything in the intertidal zone must tolerate regular exposure to salt water. This makes survival difficult for many plants and animals! 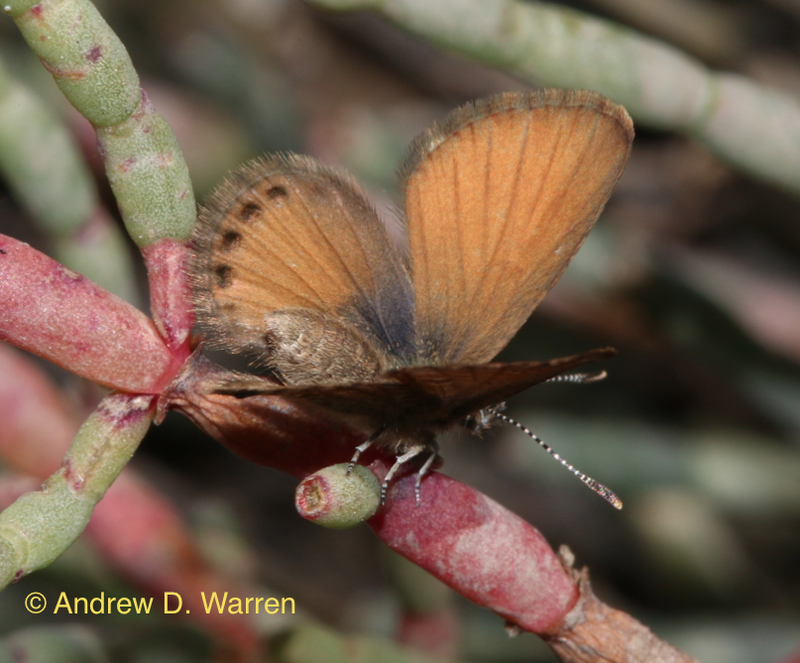 Yet there are some, including our tiniest of butterflies, that feel very much at home in the ever-changing intertidal environment, egg, larva, and adult. 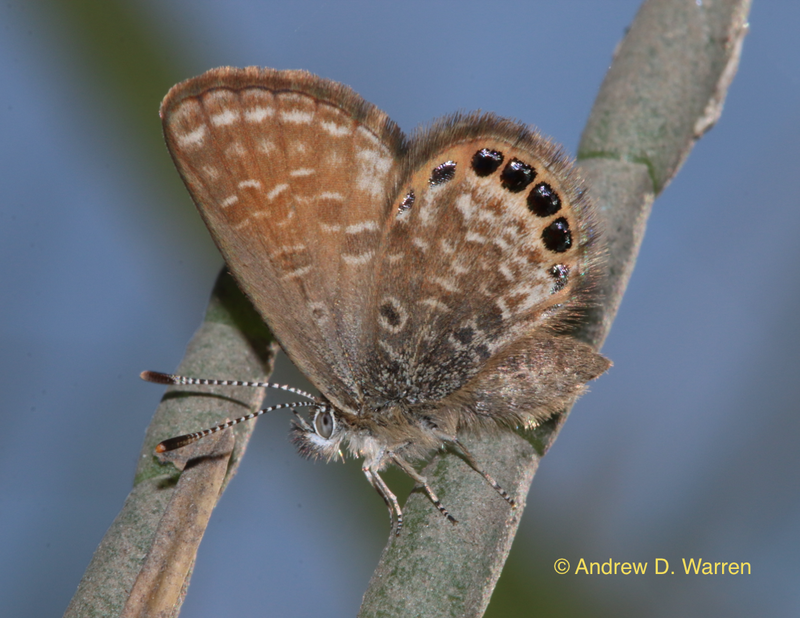 Males of the Eastern Pygmy-Blue spend most of their time cruising the canopy of larval foodplants, searching for females. When it is sunny and not too windy, males are in continuous flight above the foodplants, and rarely stop to pose for a photo. Normally, you have to follow a male for several minutes before he will pause, briefly (as above), for a chance of a close look or to capture his image! 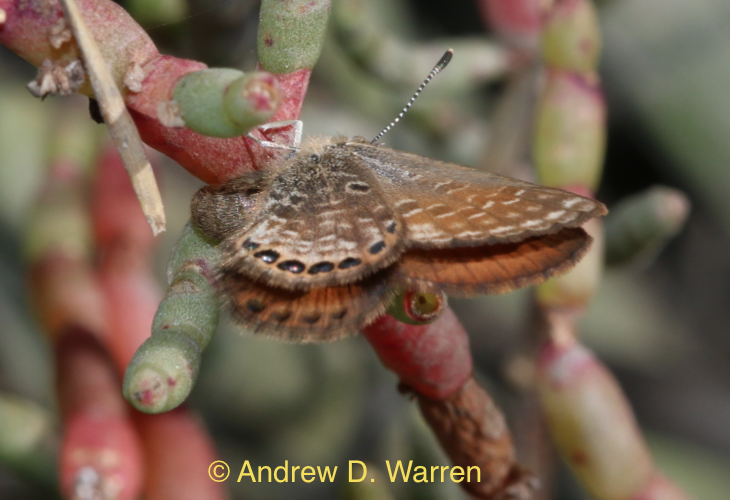 I spent about 30 minutes in a “grove” of S. perennis today, around noon, following the various males as they landed, rarely, in their search for females (photo above). 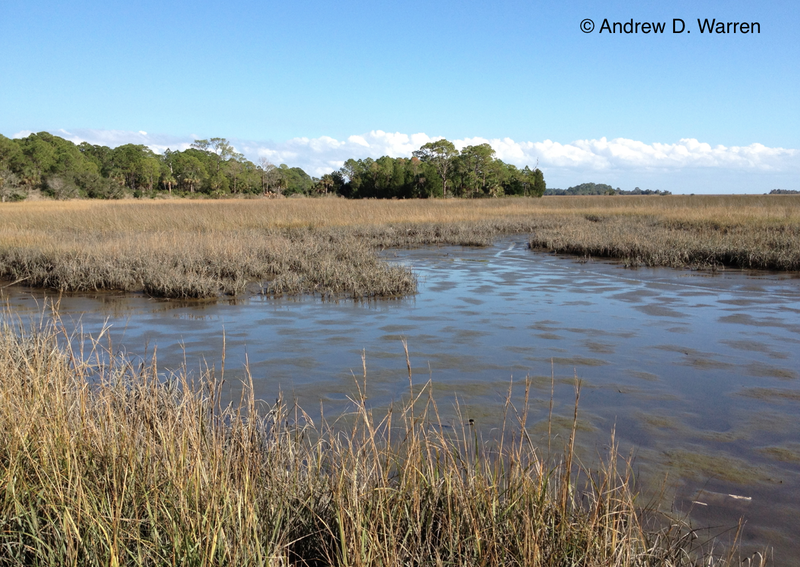 Then, along the edge of the salt marsh, I saw a female blue fluttering above the foliage. She flew differently- slower, and less determined. I headed towards her, as she was settling on some glasswort. I caught up with her a couple minutes later, when she landed on some Sarcocorina, with her wings spread partly open, signaling for attention from nearby males. It only took a few seconds for a male blue to arrive on the scene! The male blue (above) pursued the female for several minutes, but all attempts at mating ended in failure. She then flew a few feet away and landed on an especially lush-looking Sarcocorina twig. As I watched, she twisted her abdomen around the twig, and placed an egg at the junction of two branches. 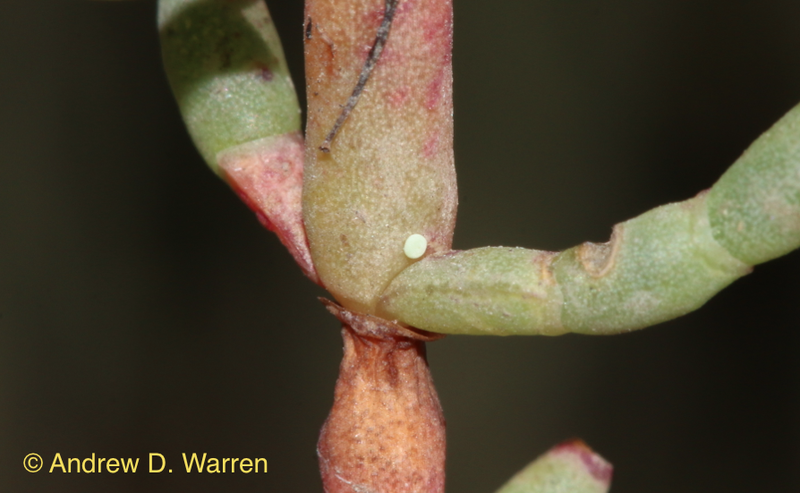 I could not see the egg from where I was watching, but then changed my view (yes, sand spurs and cactus spines in my left knee), and could see the egg clearly! 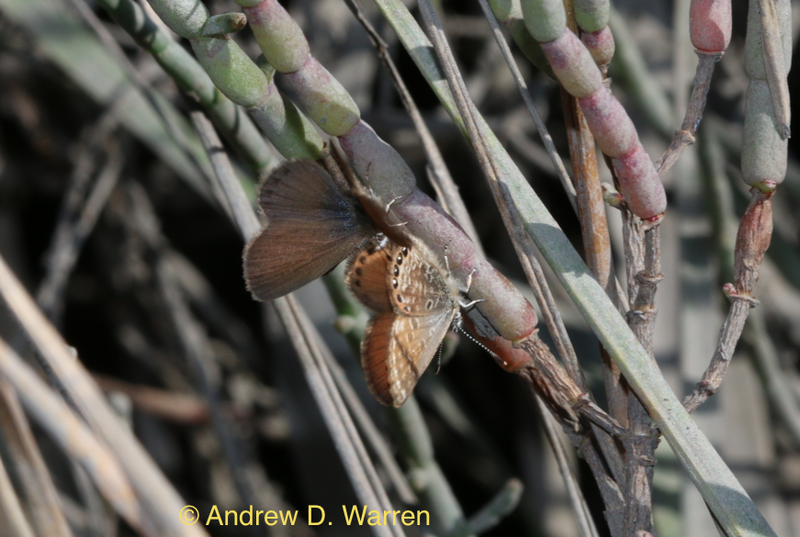 After ovipositing, the female Eastern Pygmy-Blue rested briefly, before taking flight once again. I’ll share more about these awesome blues in a future post (there is so much more to tell about them), so stay tuned! This entry was posted in Uncategorized on December 9, 2013 by LepScience. Fascinating – and always a problem to photograph. I have lots of scars from doing the same. You got some wonderful photographs! Brilliant observations. By the way, skateboarders’ knee protectors are great for stopping thorns penetrating your knees! They allow you to ‘knee walk’ on stony ground, a great plus here in the Karoo where I’m busy shooting this week. Great shots Andy and insightful observations!